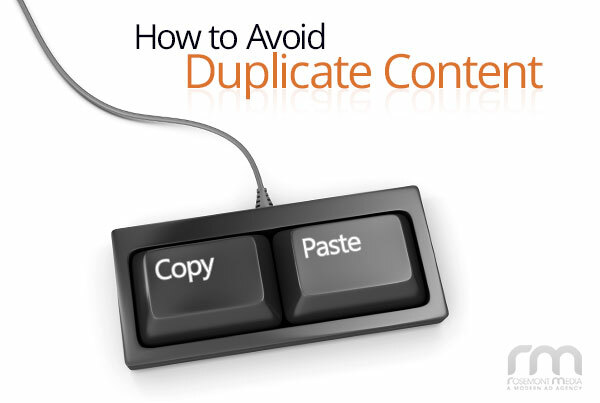 What Is Duplicate Content and Why Should I Avoid It? Though it may seem like a paradoxical concept, optimizing your medical or dental website to appeal to both search engine robots and human users is the best way to earn a high pagerank and boost traffic to your site. Fortunately, adding original content and removing duplicate content–what we often call dupe–is an essential step in pleasing both the bots and the discerning visitors. Google makes no secret of the fact it rewards websites that offer a better user experience with greater search visibility. Hard to navigate sites filled with “black hat” tactics and automatically generated content—a big no-no—can quickly result in a lower pagerank or being pulled from the search index. What Google and SEO strategists universally recommend is to provide high quality, original content that is engaging, informative, and unique to your website. They specifically advise removing dupe content. Dupe content is exactly what it sounds like: blocks of text that are repeated verbatim across multiple pages, either on one website or several. Dupe can occur a number of ways. For instance, if you have a sizable boilerplate attached to the bottom of every page; if you “borrow” information from another website to save time or money; or if others “borrow” your content, even if it was original when you posted it. However it happens, Google now perceives your site as having dupe. Why Should I Avoid It? Well, so what? Think of dupe as plagiarized material and Google as a strict professor. You can’t turn in the same homework over and over and expect a good grade. If you and someone else submit the exact same essay, you’ll likely both be penalized; you may even get expelled. If Google discovers dupe on your website, your ranking will suffer, you’ll attract less traffic, and you may even be removed from the search index entirely. Potential visitors dislike dupe too. They may question the value of what they have read and the ethics of the practice, which can be particularly damaging for healthcare companies that rely on their reputation for business. Utilizing natural language and eliminating dupe in your content marketing allows you to take the first giant leaps toward creating a top-ranking, destination website that users flock to. Creating original content is one of the most important factors in developing a user-friendly website with excellent online visibility. Make sure to read our next post to learn how Rosemont Media can rid your site of dupe and craft engaging and informative content. For more information, or if you have questions about duplicate content on your website, contact us today.